You just got yourself a cute puppy and now there is urine on your favorite carpet. You read about housetraining puppies but your living condition makes going up and down a building too much for you. There is another way to housebreak a dog; by using a grass dog litter box. The benefits of using a dog litter box are mostly for convenience. If you live in high-rise buildings or where lawns are not accessible, using a dog litter is your best bet. You want to start training your puppy as soon as possible and before he marks a spot in your house where he eliminates. Here is what you need to housebreak your puppy using a dog litter box. Choosing a dog litter box is essential. Consider your dog’s breed and how big they get when they age. You want to get a litter box that is large enough to walk around on and one that will last a lifetime. Consider the potty’s surface lining. Using one that has a grass lining is good because it imitates that of real grass. With this lining, it is easier to clean up after the puppy. Once the puppy is familiarized with the material, your puppy won’t have any problems of eliminating once you’re outdoors. Make sure to have cleaning materials at bay to clean the dog potty area after they eliminate. It is best to always keep your litter box clean. When potty training your puppy, remember that you have to be consistent in training him. 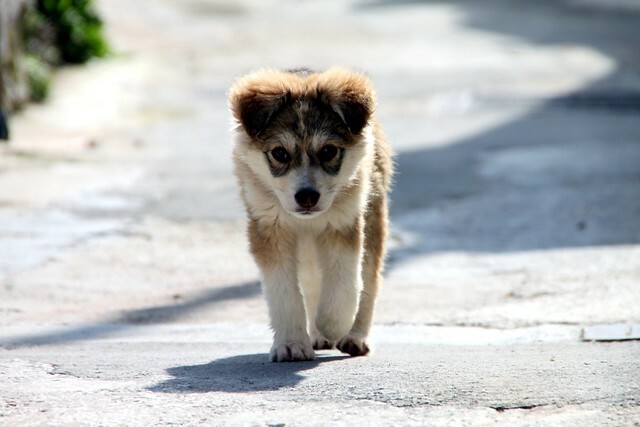 Make sure you have your full attention on him to avoid and prevent any “accidents.” If you think that your puppy is about to go, bring him to the dog litter box until he gets familiar with the spot. Consistently praise him when he does a good deed to help him develop the right habits.